When will be Summer Camp Island next episode air date? Is Summer Camp Island renewed or cancelled? Where to countdown Summer Camp Island air dates? Is Summer Camp Island worth watching? Set in a world of anthropomorphic animals, Summer Camp Island follows two best friends Oscar, and Hedgehog, and Oscar who are dropped off at a surreal summer camp. The camp is a host to many odd occurrences such as: camp counselors who are composed of popular girls who know magic, horses that transform into unicorns, talking sharks, post-it notes that lead to other dimensions and nosy monsters that live under the bed. Oscar and Hedgehog must contend with these out of place events and make their stay at camp worthwhile. Summer Camp Island next episode air date provides TVMaze for you. 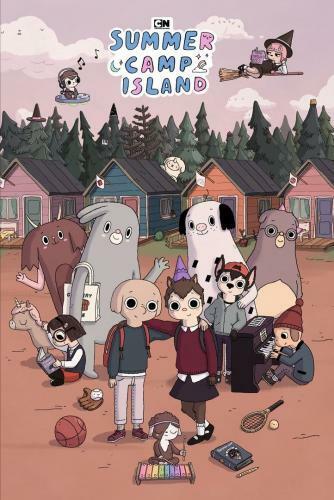 EpisoDate.com is your TV show guide to Countdown Summer Camp Island Episode Air Dates and to stay in touch with Summer Camp Island next episode Air Date and your others favorite TV Shows. Add the shows you like to a "Watchlist" and let the site take it from there.